I think I could have done a better job, but here are my steps for this look anyway. First, I applied a violet shade to my lids up to my crease, winging it up slightly at the outer corner. I then added a royal purple shadow above the violet all the way to just below my browbone. A light fuchsia shadow is blended onto the browbone as well as near the bridge of my nose. I lined my upper lashline and the outer half of my lower lashline with black, and my waterline and inner corners of my eyes with silvery-white. Finally, I filled in my eyebrows with a grey-brown brow pencil and put on some false lashes. Finally, I contoured my face, put on some light purple-pink blush, a plum lipstick and drew on a beauty mark. you are seriously so talented! :) awesome look hun! I've been looking for a Bayonetta makeup tutorial since I played it and you nailed it! Can you specify what you used on your lips, I need to pick up that color! I'm really feeling this look on you; so pretty! wow thats really pretty especially with your contacts! Love this! What kind of circle lenses are those? They look great! You make it look so easy! I love your brows! You should do more tutorials for video game characters <33 omg, you like gyaru and videogames, you're getting more and more sympathic! that is one amazing blending job! Hi! I was wondering what products you used for this look, and if you had any recommendations for colours in other brands (I live in NYC - generally have access to US drugstore and Sephora colours, plus MAC & Make Up Forever...). 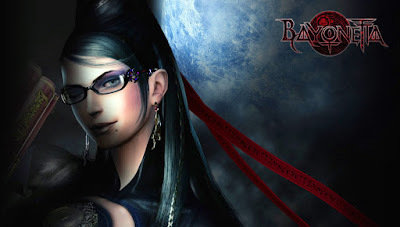 I'll be cosplaying Bayonetta soon, and am hunting down colours online before I run out to the retail stores! It looks amazing on you! Hmmm...this look is so eye-catching.